Arash Samani is an IEEE senior member and works at MITRE Corporation. His work experience is in the fields of digital signal processing, image processing, digital communications, wireless, radar, and embedded systems. He received a B.S. degree in electrical engineering from Toosi University of Technology and an M.S. degree in electrical engineering from University of Alabama in Huntsville (UAH). 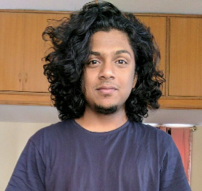 He is currently a Ph.D. candidate in electrical engineering at Tufts University in the Department of Electrical and Computer Engineering, and his research focuses on different aspects of image processing from the perspective of Human Visual Systems under the supervision of Karen Panetta. Foram Sanghavi has achieved a Bachelor of engineering in biomedical engineering from the Thadomal Shahani engineering college, Mumbai University and MS in biomedical engineering from the University of Texas a San Antonio. She is currently pursuing PhD in electrical engineering with focus at Tufts University. Her research interest includes image enhancement and segmentation, automatic detection and classification of prostate and breast histopathology images. Landry Kezebou is a proud alumni of Ahmadu Bello University (ABU), Zaria, Nigeria. He received his Bachelor’s of Engineering in Electrical Engineering from ABU with a ‘First Class honors’ receiving the best graduating student award. Landry is currently enrolled in the direct PhD program at Tufts Electrical and Computer Engineering department. 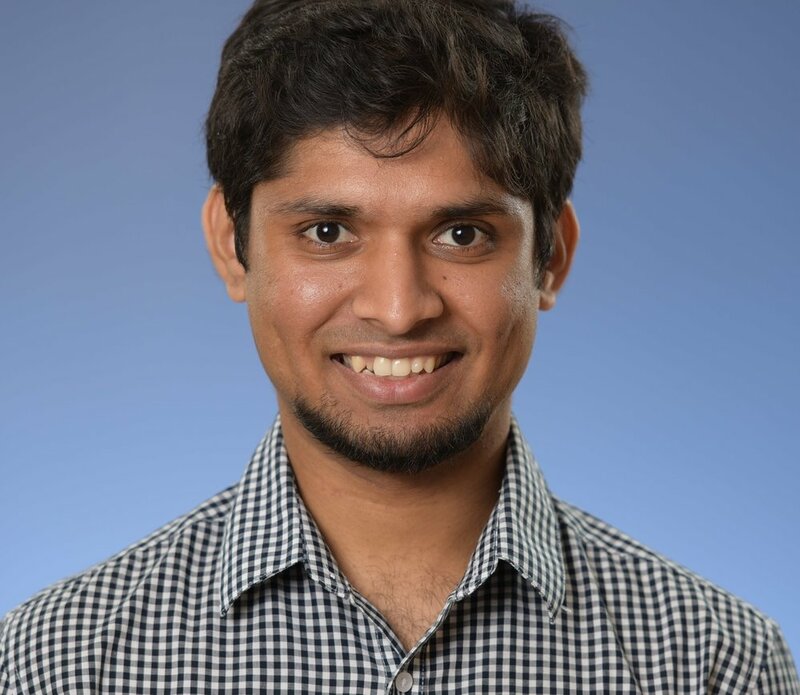 His current research interest includes using the latest computer vision and deep learning technologies for object detection and tracking, as well as highway traffic automation. He is also working on cancer detection and classification using graph theory and machine learning. Long Bao received B.S. and M.S. degrees, both in electrical engineering (2011 and 2014), from Hunan University in Changsha, China. He is currently working on his Ph.D. program in electrical engineering at Tufts University. His research interests are Image Processing, Computer Vision, Image Editing, Machine Learning, and Multimedia Security. He is a student member of IEEE and IEEE-Eta Kappa Nu (IEEE-HKN). Ozan Erat received a B.S. degree in electrical engineering from Sakarya University in Turkey and an M.S. degree from Northeastern University. He is currently pursuing a Ph.D. degree in electrical engineering at Tufts University. His research interests include image color enhancement, edge detection, image quality assessment, and computer networks. He is a student member of IEEE. Rahul Rajendran received his masters' degree in Electrical and Computer Engineering at the University of Texas at San Antonio in 2016. Received his bachelor’s degree in Electrical Engineering from Reva Institute of Technology and Management, Bangalore, India, in 2014. He is currently pursuing his Ph.D. in Electrical and Computer Science at Tufts University. His current research interests are Image and video analytics, Signal Processing, 3D Sensors, medical imaging, and Security. Shishir Paramathma Rao received his B.E. degree in Electronics and Communication from the Visvesvaraya Technological University, India, in 2014 and M.S. degree in electrical and computer engineering from University of Texas at San Antonio, USA, in 2016. Currently, he is pursuing his Ph.D. in electrical and computer engineering at Tufts University, USA. His research interests include 3D photography, image-based modeling, multi-view stereo vision, image and video analytics, machine-learning and neural networks, signal/image processing, 3D sensors. 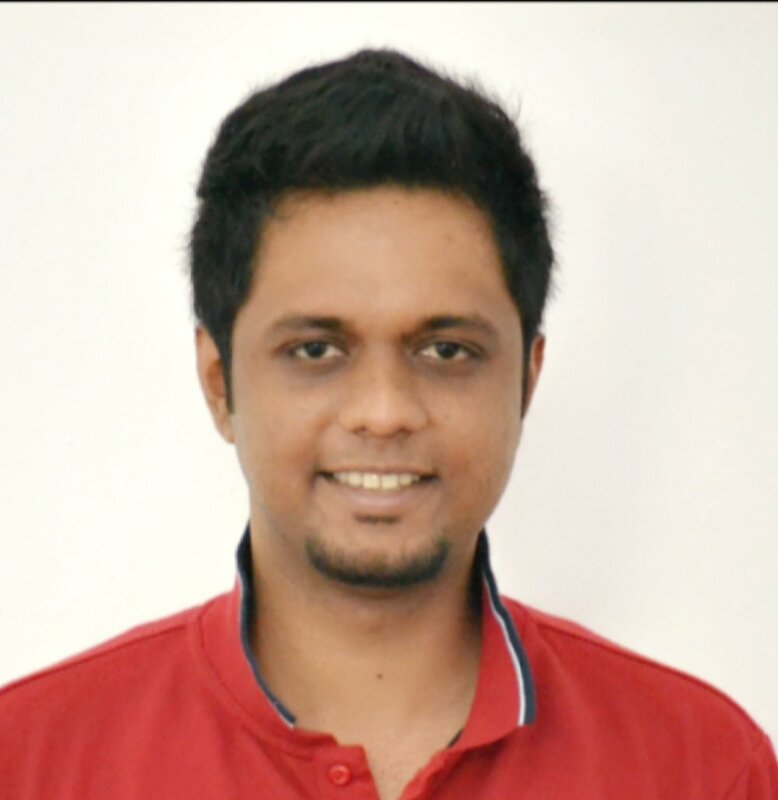 Srijith Rajeev received a bachelor’s degree in Electronics and Communication Engineering from Visvesvaraya Technological University in Bangalore, India and a master’s degree in Electrical Engineering from University of Texas at San Antonio (UTSA). He is currently pursuing a Ph.D. degree in Electrical Engineering at Tufts University. His current interests include signal/image processing, video processing, machine-learning, artificial intelligence, 3D acquisition and processing, digital forensic, and biomedical applications. 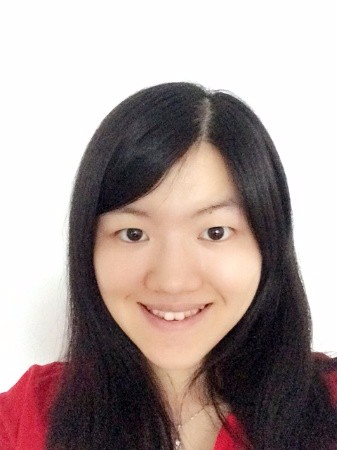 Xin Yuan received her bachelor's degree in Electrical and Information Engineering at Wuhan University of Science and Technology, China, in 2016 and her master's degree in Electrical Engineering at Tufts University, USA, in 2018. Her current research interests include image processing, facial recognition, and computer vision. Casey Corrado received her B.S and M.S. degrees in mechanical engineering. Casey works on developing UAVs for first responders to use in disaster situations. 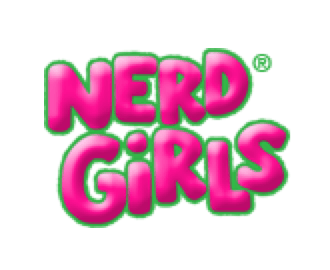 She is an active member of Tufts’ Society of Women Engineers chapter and volunteers with Karen Panetta’s Nerd Girls group. When she’s not thinking about engineering, she enjoys skiing and traveling. Casey is now employed at MITRE. Chiamaka Chima received a bachelor’s degree in electrical engineering from Tufts University and a M.S. degree at Tufts in 2016. Her research focuses on the enhancement of electro-laryngeal speech. Outside the lab, her interests include languages and cultures, biking, food, electronics, and recently cars and audio. Chiamaka is now employed at Intel. Chen Gao received a B.S degree in electrical engineering from Beijing Normal University in China in 2008 and an M.S degree in electrical and computer engineering from the Polytechnic Institute of NYU in 2010. She received her Ph.D. degree in electrical engineering from Tufts University. Her research interests include image contrast enhancement, color enhancement, edge detection, and image quality assessment. She is a student member of IEEE, WIE, and SPIE. Chen is now employed at Cognex. Shahan Nercessian received B.S., M.S., and Ph.D. degrees in electrical engineering from Tufts University. He is currently a technical staff member in the Airborne Radar Systems and Techniques Group at MIT Lincoln Laboratory. His research interests include SAR/ISAR imaging, automatic target recognition, bistatic radar, and related topics in radar signal and image processing. Ethan Danahy is a research assistant professor in the Department of Computer Science at Tufts University. Tom Baran is a visiting lecturer and research affiliate in the Digital Signal Processing Group in the Department of Electrical Engineering and Computer Science at the Massachusetts Institute of Technology. Tom was also a member of the Tufts Beezelbubs acapella group and rehearsed in Pofessor Panetta's lab before he sang for President Bush. Yicong Zhou is an associate professor of computer and information science at the University of Macau in China. Sadaf Qazi was an engineer at Raytheon and is now a Technology Teaching Fellow with the Knowledge Is Power Program (KIPP). The KIPP school program is a national public charter school system that works with underrepresented communities around the United States with a mission to get students to and through college. Matt Lyman is director of software at Amazon Robotics. Nevin McConnell is hardware engineering manager at Nest. Michael Mattioli is an associate professor at Indiana University Bloomington. Barghavi Govindarajan has a B.E. in electrical engineering from the Birla Institute of Technology and Science in Pilani, India, and an M.S. degree in electrical engineering from Tufts University. During her graduate studies with Karen Panetta’s lab at Tufts, she worked on image processing algorithms using mathematical models that applied to binary information. In March 2015, she founded wizroot, inc., which offers elite education-consultancy services, including research and technical mentorship, for career advancement. She is also a full-time software professional. Eric Wharton is a systems engineer at Lockheed Martin. Nicholas Davis is a software engineer at Rapid7. Alex Henry is a technical intern at MITRE.